I've had a lot of requests for more flexible longswords suitable for stage combat, HEMA (not everone wants to use a feder! ), and for fencing with SCA Cut and Thrust (and similar) rulesets. 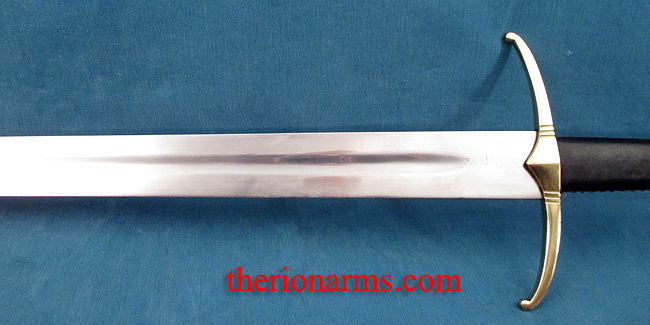 So here we are - this longsword is one of the most production-flexible I've ever seen - so that your actors will be less likely to kill each other; HEMA fighters can actually use a "real" sword instead of a federschwert (man, I'm going to get a lot of grief over that comment), and so that SCA C&T fighters have a longsword that absolutely meets the required flex tests - not only for singe combats, but for melee, too! 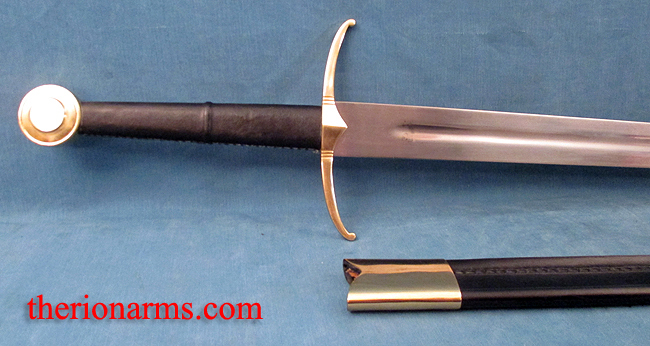 The pommel is peened (see end view pic above) to a sturdy tang, the grip is wood core with a sewn leather wrap. The blade edges are dulled to 2mm wide. 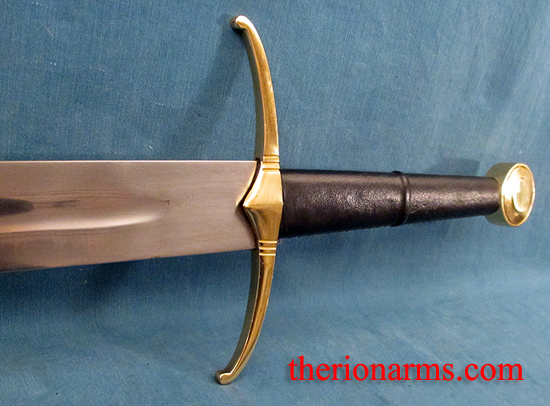 This is about as safe and flexible as you're going to get with a steel sword, and/so it's suitable for light contact with thick clothing and padding (and control!) 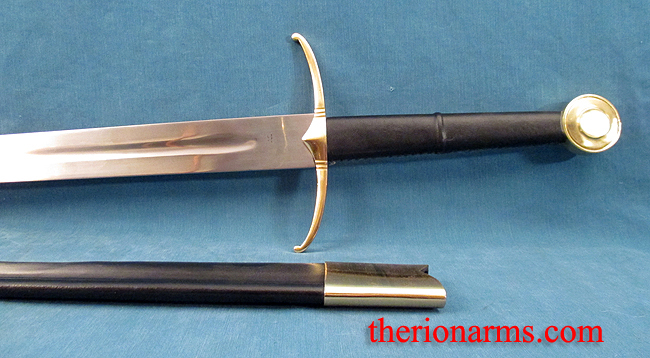 Matching scabbard included. 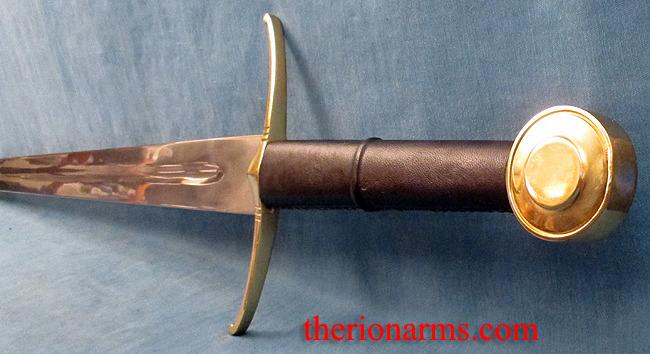 grip and pommel: 10 5/16"
leather wrapped grip: 8 1/2"
also available is a matching Stage Combat / HEMA / SCA C&T arming sword.